Having first come across Rachel Sermanni on the BBC Introducing Stage at Reading Festival over a year ago, we were blown away by her stunning voice, tender melodies and heartfelt lyrics. Even playing to a baked festival crowd and contending with so much background noise, as well as the overflow from the surrounding stages, it was clear we were watching a girl with a special talent. Now, after releasing an album on Middle of Nowhere Records and Rough Trade and touring throughout Europe, she arrived at Aldershot’s West End Centre to promote the release of new release ‘The Boatshed Sessions’, an EP that contains four tracks that were recorded, warts and all, in a boatshed. Stornoway resident Colin Macleod provided support and his half hour showcased his understated and expert folk ramblings, that also seemed to give a nod to the poppier aesthetics of Duke Special. With a song he claimed to be his real stab at a country song, although it was written about Blink 182, proving a real highlight, while the closing ‘Easy Way Out’, accompanied by Rachel, was also an instant success with the very polite and captivated crowd. 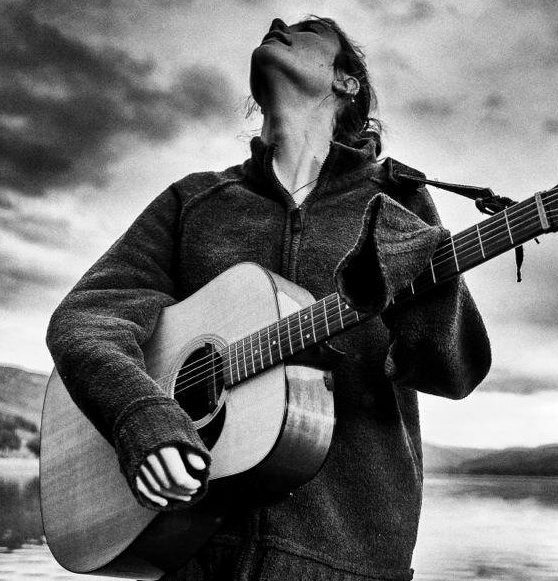 After a brief interval, Rachel came on stage armed with just a guitar and delivered the first song of an hour of quite beautiful and stirring folk anthems. Starting off with just a guitar and her powerful voice, the subtle settings of the Westy were just perfect for showcasing her perceptive lyrics and delicate vocal range. Having grown in confidence so much in the 14 months or so since we last saw her, Rachel also entertained the crowd with talk of how she’s learned how to tie a few knots (which will come in handy next time she takes a ferry on tour…) and discussed how much she enjoyed recording in the Boat Shed with a host of other musicians. On many songs, Rachel was ably backed up with some pleasing piano from Jennifer Austin and occasionally Colin would come on stage and add an extra guitar to the mix. The soothing ‘Ever Since the Chocolate’ sounded wonderfully commanding in its stripped-back format as Rachel sang about how ‘Doctor says I have to wear a jacket’ and ‘Song to a Fox’ was also rather remarkable, while ‘Waltz’ sounds for all the world like it is a massive hit. ‘Black Hole’ finds Rachel adding a smoky ambience and jazz influence as she expands her sound, while the cover of a Robert Burns song added some extra impact. At times quite breath-taking, Rachel Sermanni is a talent worthy of gracing any stage and she’ll be packing out far larger venues in years to come.